Mapleleaf began to head out of the camp, her medicine cat apprentice trailing behind her. Today she would be showing her apprentice where the herbs they use could be found and what they are used for. "Follow me Rainpaw. We must hurry now." she urged gently. She wanted to leave the camp behind and begin their lessons. The she-cat soon began to slow her pace once out of the camp and far enough in the territory. She wanted Rainpaw to take in all that he saw. He went out of the camp once before but they were in a hurry. Now they could take their time. "Do you know why I brought you here?" she asked as she stopped to look at him. She had hinted to what they were doing earlier in the day. She hoped he would remember what she said. Mapleleaf chuckled at his answer. He wasn't wrong yet that was a minor thing. "You're not wrong....it's just not something we'll be focusing on today..." she told him softly. Soon she turned to looked at him, eyes twinkling with mischief. "Thunderclan has many green foliage growing, especially near the river. It's a sight to look at." she commented while looking around herself. "What we're really here for is the herbs. In other words, today you'll be learning where they grow and how to use them but first, can you name any? Remember, some aren't plants at all. Some can help in different ways and are used differently." The tom paused and thought for a moment. His tail flicked as he tried to recall some herbs. His ears perked as he remembered some. "Of course, of course. Marigold, foxglove, deadly nightshade, birch bark, feverfew, catmint, lavender and poppy seeds." He meowed, looking to his mentor. While some herbs were things that he knew from how common they were used by Mapleleaf, others were some he learned as a kit from older cats as a warning to how poisonous they were. Others, he had just seen on cats with broken legs. He knew most about the lavender. With Wildfire sneaking out the stuffy nursery to sleep in the warriors' den, he often had to find scraps of it in the nursery to help him fall asleep without her. IC: The sand-tabby nodded happily at all the ones he mentioned. "Very good Rainpaw! I'm very glad you know so many. You must be proud of yourself for knowing all of these!" the she-cat praised. She looked around for a certain pain-reliever. The medicine cat soon spotted what she was looking for and extended a paw to drag the seeds back to them. "I know you know what these are and what they do but do you know how many poppy seeds to give to patients under certain circumstances?" The she-cat waited for an honest answer. The tom's fur fluffed slightly at the praise and he allowed himself a soft smile. He watched her gather the seeds and bring them to him. He racked his brain for the answer to her question and came up with nothing. The tom shook his head after a moment, fixing his gaze on the seeds as h tried to figure it out. "No, I don't know how many to give. Their age matters too, right?" The tom asked. Surely kits and elders would be given less than a warrior. 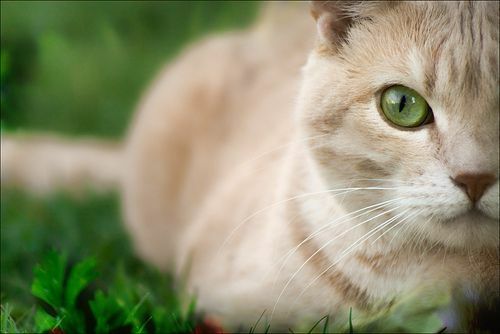 A sick cat may either not have a reaction or be sensitive to the seeds entirely. His tail tip twitched as he mapped it out in his mind, golden brown eyes flickering to and fro absently as if chasing the thoughts in his mind.